Registrant Name: Pro Data Doctor Pvt. Ltd.
Registrant Organization: Pro Data Doctor Pvt. Ltd.
Admin Organization: Pro Data Doctor Pvt. Ltd.
Tech Organization: Pro Data Doctor Pvt. 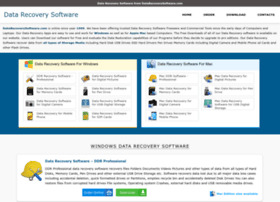 Ltd.
MiniTool Data Recovery Software – Power Data Recovery & Mac Data Recovery. Android Data Recovery Software - Recover Deleted Documents, Photos, Videos, Music Files from Android Devices.